Some of you may remember a week or so ago i posted on the gift of self control and my thoughts i'd been having on that. 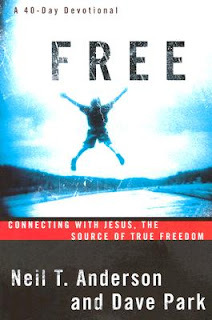 Well, i'm going to use this blog as a public declaration of my intention to spend the next 40 days (not including the 7 days i'm on Waves) to go through a daily devotional called FREE. I'm looking forward to the journey, each week i'll try and post what i've learnt and read so as to keep myself accountable. I also give you all permission to leave nasty posts or send me nasty messages if i don't post on here about what i'm learning in the next 40 odd days! According to my calculations (including the Waves time out, i should be finished on about the 12th of Feb. So I was buying some beer tonight and I almost picked up Fosters because I have yet to try an Australian beer. I realize Fosters is not representative of good Australian beer but they are so hard to find. I looked at the label and it informed me that the fosters I can buy here is bottled in Canada, not Australia so I opted for a German bier (St. Pauli Girl). If you ever make it to America I have to take you to this brewery near by. They make a good beer. I took a Welsh friend of mine there and he fully approved. Happy New Year mate!